and compiled in platformio fails misserably? ESP8266 WIFI serial to emoncms link. Contribute to openenergymonitor/EmonESP development by creating an account on GitHub. Works for me on PIO 4.0.0a7, what’s your error? 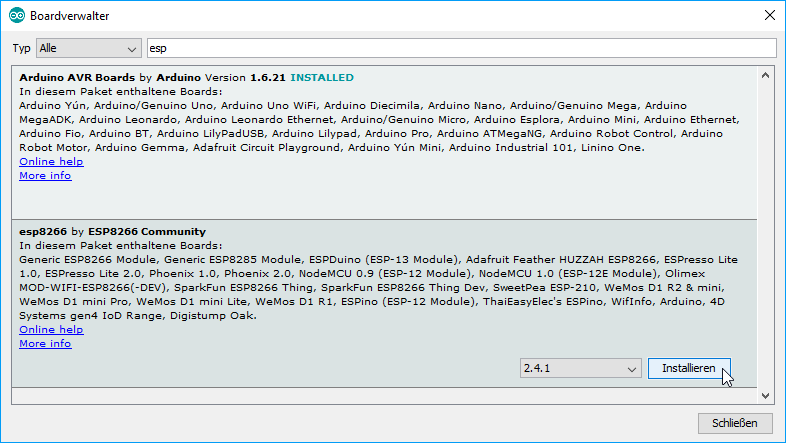 So what ESP8266 version do you have installed in your Arduino IDE’s board manager? Which version does it show? It should be the latest, how can i see it and where? You meant "PlatformIO has Arduino-ESP8266 core 2.5.0 since platform = espressif8266@2.0.0" didn’t you?